Swimming is an amazing fitness activity. With the indoor lap pool, aquatics classes, and swim lessons at American Family Fitness, there is a water activity for everyone. Dive on in! 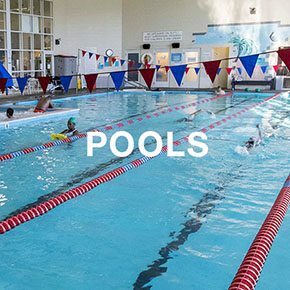 With an indoor pool that allows you to swim even when the weather is cold, aquatics classes for strengthening and endurance, and swim lessons that teach the basics of swimming and water safety, our gym in Glen Allen is the place to be for the best exercise, relaxation, and water fitness year round. Do you wish you could continue your swimming throughout the winter? At our Glen Allen gym, you can! Our members enjoy a beautiful indoor pool that is open year round, so you can swim even when it's cold outside. 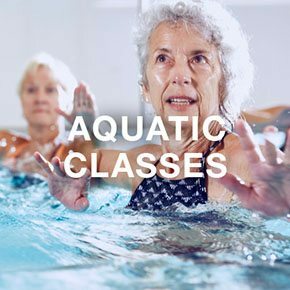 At the best gym in Glen Allen, group aquatic fitness classes emphasize strength and endurance, but because of water’s buoyancy, classes are easy on the joints. Discover the many health benefits of swimming. Are you looking to master your swimming skills or do you need to learn the basics? 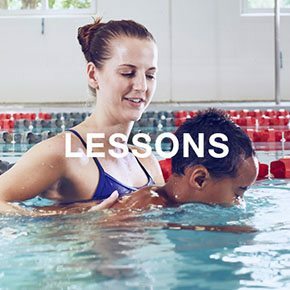 Certified instructors at our Glen Allen health club teach classes based on the American Red Cross “Learn to Swim” program. The Swim Club is the perfect way to sharpen your skills.